The Campanile Le Bourget – Gonesse hotel is located just two kilometres to the south of Gonesse and is not far from the French capital, Paris. The nearest train station is only three kilometres from the hotel, and the nearest airport, which is Roissy Charles de Gaulle Airport, is just ten kilometres away. There is a metro station, Villiers Le Bel, five kilometres away from the hotel. The Campanile Hotel is easily accessible from the highway, with the A104 motorway just two kilometres away. The hotel has a partnership with local taxi company Taxi Lemere, ensuring that all your transport needs are provided for. This two-star Campanile hotel has 48 rooms. All of these rooms feature an en-suite bathroom with shower. 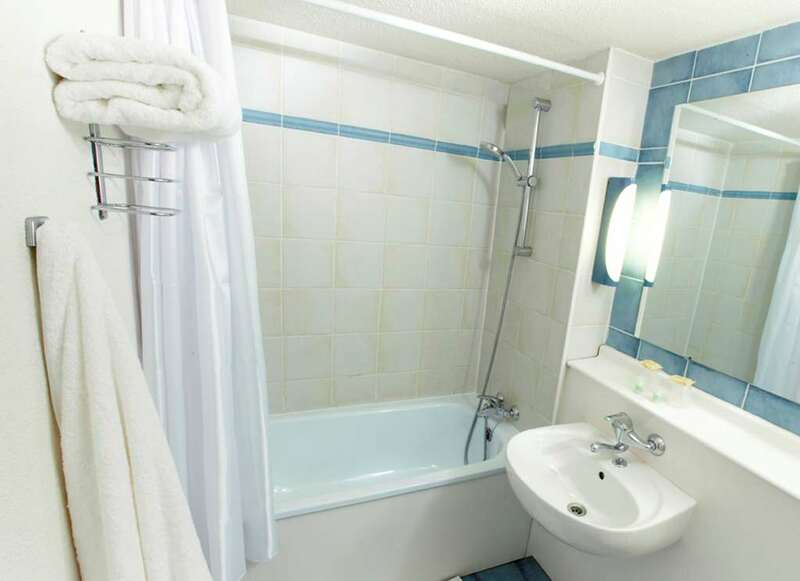 Half of the rooms in the Campanile Le Bourget – Gonesse hotel are smoking rooms, with the other half being strictly non-smoking rooms. There are 21 double rooms in the hotel and 12 twin rooms. 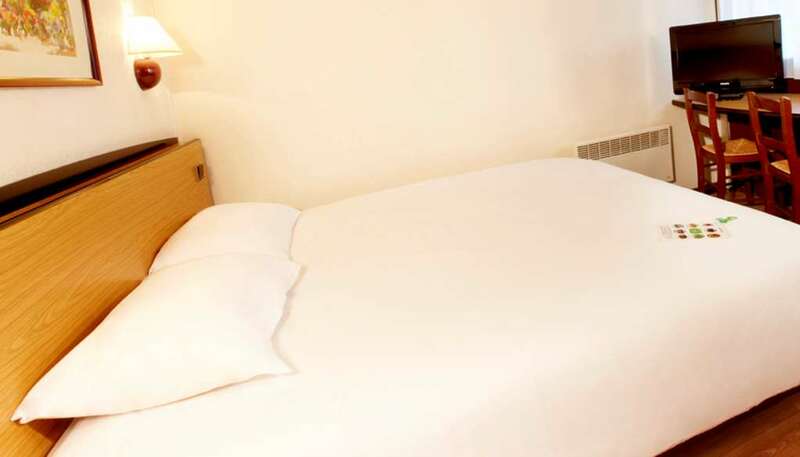 The hotel also features 15 triple rooms, four of which have one double bed and one single. The remaining 11 rooms feature three separate single beds. All rooms are fitted with a television and telephone for guests' use, and there are alarm clocks in each room for the guests' convenience. The Campanile Le Bourget – Gonesse hotel also features an on-site dining area for its guests. The Restaurant cam seat up to 62 diners and serves both, a lunch time meal and an evening meal for holiday-makers staying at the hotel. There is also a breakfast buffet available for guests on a daily basis. This is served between 6. 30 and 9: 00. 9:00 The hotel also boasts a garden that is 4000 square metres big, and a terrace which seats 34 so it is ideal for guests who wish to dine outside during those warm summer evenings. For visitors who are travelling with a family there is also a playground on-site to keep the children entertained. Our Campanile Gonesse Hotel in Gonesse ensures you are getting the lowest rate for your stay. Find all of our Campanile Hotels in Gonesse.